This is HUGE 2 Giveaways today that I happened upon on Pinterest!!! The first ends in about 4 hours! Another is a wonderful one for 300 followers! How cool is that? This is for K-2 and 3-5! Two separate giveaways AND over 40 different things!!! How awesome is that!? This still has about 6 days left! So hurry up and sign up! Click the Links to go to their blogs to ENTER! This letter has been sent to the UCPS district by this author, Kris Nielsen. Many teachers in the US feel exactly the same. This letter was locally published and now has national attention! WOW! The resignation letter below was written by teacher Kris L. Nielsen of Monroe, N.C. and sent to Union County Public Schools. Why is Nielsen quitting right now? “Because…I refuse to be led by a top-down hierarchy that is completely detached from the classrooms for which it is supposed to be responsible,” and “I will not spend another day under the expectations that I prepare every student for the increasing numbers of meaningless tests,” and more. Read the whole letter, which was first published by United Opt Out National. Before I go too much into my choice, I must say that I have the advantages and disadvantages of differentiated experience under my belt. I have seen the other side, where the grass was greener, and I unknowingly jumped the fence to where the foliage is either so tangled and dense that I can’t make sense of it, or the grass is wilted and dying (with no true custodian of its health). Are you lost? I’m talking about public K-12 education in North Carolina. I’m talking about my history as a successful teacher and leader in two states before moving here out of desperation. 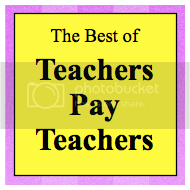 In New Mexico, I led a team of underpaid teachers who were passionate about their jobs and who did amazing things. We were happy because our students were well-behaved, our community was supportive, and our jobs afforded us the luxuries of time, respect, and visionary leadership. Our district was huge, but we got things done because we were a team. I moved to Oregon because I was offered a fantastic job with a higher salary, a great math program, and superior benefits for my family. Again, I was given the autonomy I dreamed of, and I used it to find new and risky ways to introduce technology into the math curriculum. My peers looked forward to learning from me, the community gave me a lot of money to get my projects off the ground, and my students were amazing. Then, the bottom fell out. I don’t know who to blame for the budget crisis in Oregon, but I know it decimated the educational coffers. I lost my job only due to my lack of seniority. I was devastated. My students and their parents were angry and sad. I told myself I would hang in there, find a temporary job, and wait for the recall. Neither the temporary job nor the recall happened. I tried very hard to keep my family in Oregon—applying for jobs in every district, college, private school, and even Toys R Us. Nothing happened after over 300 applications and 2 interviews. The Internet told me that the West Coast was not hiring teachers anymore, but the East Coast was the go-to place. Charlotte, North Carolina couldn’t keep up with the demand! I applied with three schools, got three phone interviews, and was even hired over the phone. My very supportive and adventurous family and I packed quickly and moved across the country, just so I could keep teaching. I had come from two very successful and fun teaching jobs to a new state where everything was different. During my orientation, I noticed immediately that these people weren’t happy to see us; they were much more interested in making sure we knew their rules. It was a one-hour lecture about what happens when teachers mess up. I had a bad feeling about teaching here from the start; but, we were here and we had to make the best of it. Union County seemed to be the answer to all of my problems. The rumors and the press made it sound like UCPS was the place to be progressive, risky, and happy. So I transferred from CMS to UCPS. They made me feel more welcome, but it was still a mistake to come here. I refuse to be led by a top-down hierarchy that is completely detached from the classrooms for which it is supposed to be responsible. I will not spend another day under the expectations that I prepare every student for the increasing numbers of meaningless tests. I refuse to be an unpaid administrator of field tests that take advantage of children for the sake of profit. I will not spend another day wishing I had some time to plan my fantastic lessons because administration comes up with new and inventive ways to steal that time, under the guise of PLC [Professional Learning Community] meetings or whatever. I’ve seen successful PLC development. It doesn’t look like this. I will not spend another day wondering what menial, administrative task I will hear that I forgot to do next. I’m far enough behind in my own work. I will not spend another day wondering how I can have classes that are full inclusion, and where 50% of my students have IEPs, yet I’m given no support. I will not spend another day in a district where my coworkers are both on autopilot and in survival mode. Misery loves company, but I will not be that company. I refuse to subject students to every ridiculous standardized test that the state and/or district thinks is important. I refuse to have my higher-level and deep thinking lessons disrupted by meaningless assessments (like the EXPLORE test) that do little more than increase stress among children and teachers, and attempt to guide young adolescents into narrow choices. I totally object and refuse to have my performance as an educator rely on “Standard 6.” It is unfair, biased, and does not reflect anything about the teaching practices of proven educators. I refuse to hear again that it’s more important that I serve as a test administrator than a leader of my peers. I refuse to watch my students being treated like prisoners. There are other ways. It’s a shame that we don’t have the vision to seek out those alternatives. I refuse to watch my coworkers being treated like untrustworthy slackers through the overbearing policies of this state, although they are the hardest working and most overloaded people I know. I refuse to watch my family struggle financially as I work in a job to which I have invested 6 long years of my life in preparation. I have a graduate degree and a track record of strong success, yet I’m paid less than many two-year degree holders. And forget benefits—they are effectively nonexistent for teachers in North Carolina. I refuse to watch my district’s leadership tell us about the bad news and horrific changes coming towards us, then watch them shrug incompetently, and then tell us to work harder. I refuse to listen to our highly regarded superintendent telling us that the charter school movement is at our doorstep (with a soon-to-be-elected governor in full support) and tell us not to worry about it, because we are applying for a grant from Race to the Top. There is no consistency here; there is no leadership here. I refuse to watch my students slouch under the weight of a system that expects them to perform well on EOG [end of grade] tests, which do not measure their abilities other than memorization and application and therefore do not measure their readiness for the next grade level—much less life, career, or college. I’m tired of watching my students produce amazing things, which show their true understanding of 21st century skills, only to see their looks of disappointment when they don’t meet the arbitrary expectations of low-level state and district tests that do not assesstheir skills. I refuse to hear any more about how important it is to differentiate our instruction as we prepare our kids for tests that are anything but differentiated. This negates our hard work and makes us look bad. I am tired of hearing about the miracles my peers are expected to perform, and watching the districts do next to nothing to support or develop them. I haven’t seen real professional development in either district since I got here. The development sessions I have seen are sloppy, shallow, and have no real means of evaluation or accountability. I’m tired of my increasing and troublesome physical symptoms that come from all this frustration, stress, and sadness. Finally, I’m tired of watching parents being tricked into believing that their children are being prepared for the complex world ahead, especially since their children’s teachers are being cowed into meeting expectations and standards that are not conducive to their children’s futures. I’m truly angry that parents put so much stress, fear, and anticipation into their kids’ heads in preparation for the EOG tests and the new MSLs—neither of which are consequential to their future needs. As a parent of a high school student in Union County, I’m dismayed at the education that my child receives, as her teachers frantically prepare her for more tests. My toddler will not attend a North Carolina public school. I will do whatever it takes to keep that from happening. I quit because I’m tired [of] being part of the problem. It’s killing me and it’s not doing anyone else any good. Farewell. This is one awesome give-a-way and a way to find new bloggers, tweeters, and facebook fans for education sites; along with technology and other interesting things. 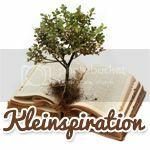 Thanks for hosting this give-a-way Kleinspiration!!! Diamond Candles give a way!!! This is awesome!! A ring valued between $10 and $5,000 is inside these candles. Enter to for a chance to win one of these candles!!!!! Ms. Rachel is giving away a document camera!!! Come a see what her blog is all about. She's a special education teacher and has a lot of good ideas! Come Check her blog, facebook page, and other pages out! I found some really neat ideas to help me w/ my Special Education kiddos! Thanks Rachel for the giveaway! I am a teacher with a Master's Degree in Educational Technology! I have been teaching for over 10+ years now. I love what I do, but I dislike the fifteen different work hats we have to wear. I love my son, my husband, family, friends, college football (GO Vols!! ), professional football (the Cleveland Browns), and NASCAR!